Conference alum Barbara Agarwal recently wrote and directed two plays as a fundraiser for the Ogdensburg Public Library. The playwright received a write-up in the Watertown Times. Enjoy! Congrats to ECWC alum Connie Langhorst who has been accepted into the Red Earth Low Residency MFA Program at Oklahoma City University. Connie will start attending classes in late December. Connie has also been busy blogging on behalf of the Pinellas Realtor Organization (PRO) on www.mypinellas.com. Her writing has also been featured in their real estate industry online newsletter, ProView. Congrats to ECWC alum Bobby Sauro whose short fiction piece “Gowanus, Brooklyn” is currently featured online at Corium Magazine. Here’s information on how to submit to Corium Magazine. A reminder that the deadline to apply for consideration in this year’s 8th Annual Eckerd College Writers’ Conference: Writers in Paradise is just around the corner (December 1, 2011), so before you pack your bags and stuff that turkey this week, be sure to take time to drop your application in the mail! We are so thankful for all of the participants who have joined us over the past seven years and look forward to meeting new people, this year, as the Writers in Paradise family continues to grow and evolve. For those members of our alumni family who have good writing news to share, please don’t forget that we love bragging about your success. Please email Christine and she’ll share your news here. A very special thanks goes out to the individuals who help support our scholarships annually. Without your generosity, we would not be able to continue to provide financial assistance to aspiring writers. Submit the opening 25 pages of a novel-in-progress, plus a two-page synopsis of the book or submit the opening 25 pages of a memoir-in-progress or other nonfiction work, plus a two-page synopsis. Submit the opening 25 pages of a memoir-in-progress or other non-fiction work, plus a two-page synopsis. If you are submitting a portion which appears later in the work (for example, pages 25-50), provide a detailed synopsis of the pages prior to your submission (e.g. pages 1-24). Submit the opening 25 pages of a novel-in-progress, plus a two-page synopsis of the book. If you are submitting a portion which appears later in the work (for example, pages 25-50), provide a detailed synopsis of the pages prior to your submission (e.g. pages 1-24). Submit 15-20 pages from the middle of a novel-in-progress and a five page, single-spaced synopsis. The synopsis should express a three-act structure, indicate when point-of-view shifts if it does, and should include a list of characters and their relationships to one another. Submit one short story (25 pages maximum). Submit the opening 25 pages of a YA work-in-progress, plus a two-page synopsis of the book. If you are submitting a portion which appears later in the work (for example, pages 25-50), provide a detailed synopsis of the pages prior to your submission (e.g. pages 1-24). Lectures on Craft by: Andre Dubus III, Elizabeth Berg, Dennis Lehane, and Sterling Watson. Workshop manuscripts emailed to participants. Participants should print the manuscripts and bring them to the conference. Details about how to prepare for discussion of the manuscripts in the workshops will be provided at this time. Another lovely piece by ECWC Alumna Gale Massey in last weekend’s St. Petersburg Times. Enjoy! ECWC Alum Terrell Dougan is now a regular blogger over at the Huffington Post. To view some of her entries, click here. 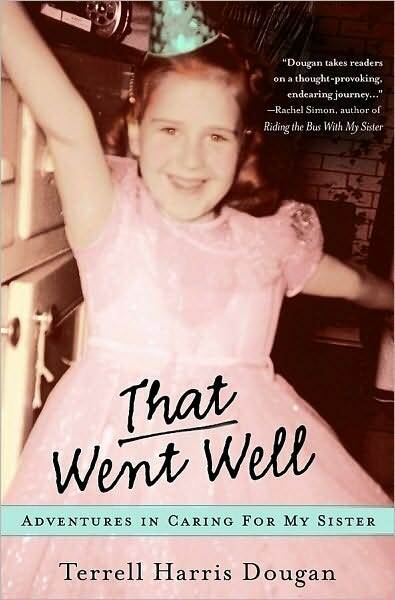 Terrell is also the author of the nonfiction work: THAT WENT WELL: ADVENTURES IN CARING FOR MY SISTER, released in 2009 by Hyperion. 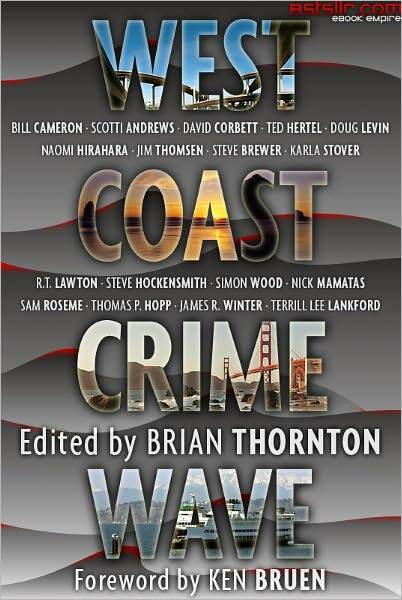 Congratulations to ECWC Alumna, Scotti Andrews, whose story “Blind Date” was recently included in the E-Anthology WEST COAST CRIME WAVE. 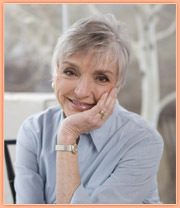 You are currently browsing the Writers in Paradise Alumni blog archives for November, 2011.